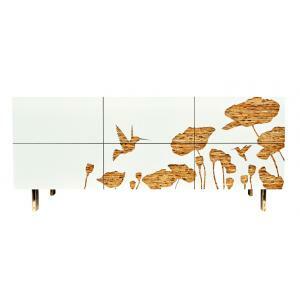 A modern Armoire with a signature botanical pattern and organic appeal. Constructed with kirei board and soft matt white laminate brings life to the design! 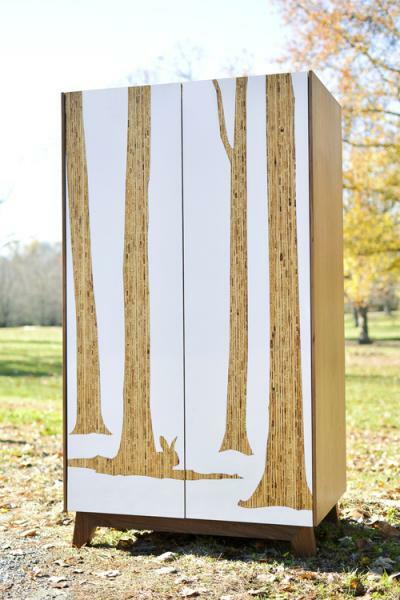 This beautiful modern armoire is constructed with organic kirei board which is an environmentally friendly material made from the reclaimed stalks of the sorghum plant. 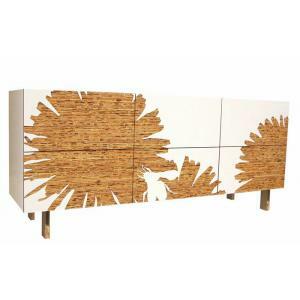 It uses matt white laminate with a decorative graphic of trees laser-cut to reveal the kirei wood - it is truly charming. 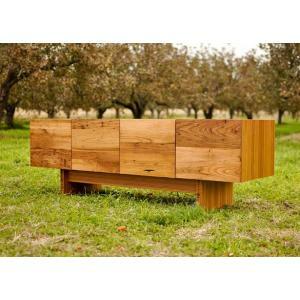 The outer cabinet is walnut with a hand-applied oil to give it a rich earthy color and grain. The interior uses Maple wood. 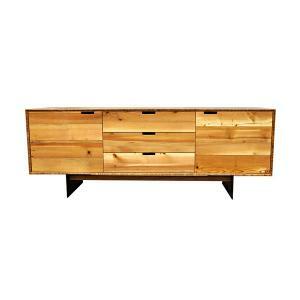 It is all quality hand-made in the USA by the designer and one of our favorites! The interior has adjustable shelves on the right and a hanging rod on the left.